Over the past few years, there has been more evidence published that visualisation can help stroke victims walk better and to regain mobility in their limbs. As a hypnotherapist, I have worked with a number of clients over the years that have made significant improvements. Research into the effectiveness is ongoing. The results support the efficacy of programs incorporating mental practice for rehabilitating affected arm motor function in patients with chronic stroke – These changes are clinically significant. I have listed the research done at the base of the page. When I see a client who has motor problems due to stroke we start off by establishing what they want to achieve. We measure the mobility at the initial consultation so we can establish a baseline from which to work. We then work for 6 weeks to establish whether it is benefiting the person or not. Every time someone visualises moving part of the body our neural networks in our brains strengthen. If there is more than one area to work with then I usually break up the 30-minute visualisation into areas needed working on. So if a person needs extra mobility in arm, hand and leg I will spend 10 minutes on each and often combine the 3. I also record the client’s own CD to include visualisations which are unique to them, this is listened to every day and along with the relaxation, CD proves very effective. 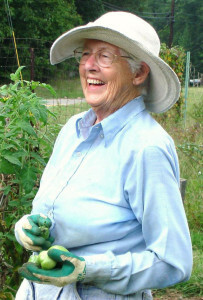 Vera had had a stroke, which affected her right-hand side. Although she was having physiotherapy, recovery was slow to start with. Her son had researched visualisation techniques and contacted me because I had worked with a woman, who couldn’t swallow, but 3 sessions of visualisation had changed her brain and she was swallowing again. We worked week by week and each week she showed off her mobility and by week 4 she even managed to get herself out of her wheelchair and onto the couch no problem at all. To start with we worked on her visualising moving her hands and fingers, and as time went on, we changed to deep relaxation where she could visualise the electrical activity in her brain and body helping reconnect the neural pathways. I recorded several CDs for her to listen to every day. Ones where she was imagining herself moving her arms around, another with hand movements. They included visualising everyday movements like picking up a kettle and filling it up, making a pot of tea and drinking it out of a cup and saucer. We saw each other for nearly 18 months, in which time Vera had improved some of her mobility. She found the hypnotherapy sessions very beneficial and always looked forward to them.The only drawback was she refused to take some of the medication she was given to lower blood pressure and thin the blood, which meant she did suffer another stroke which proved fatal. If you or a family member has mobility problems due to stroke then visualisation can help enormously, but it is no replacement for medication. Please call for details.